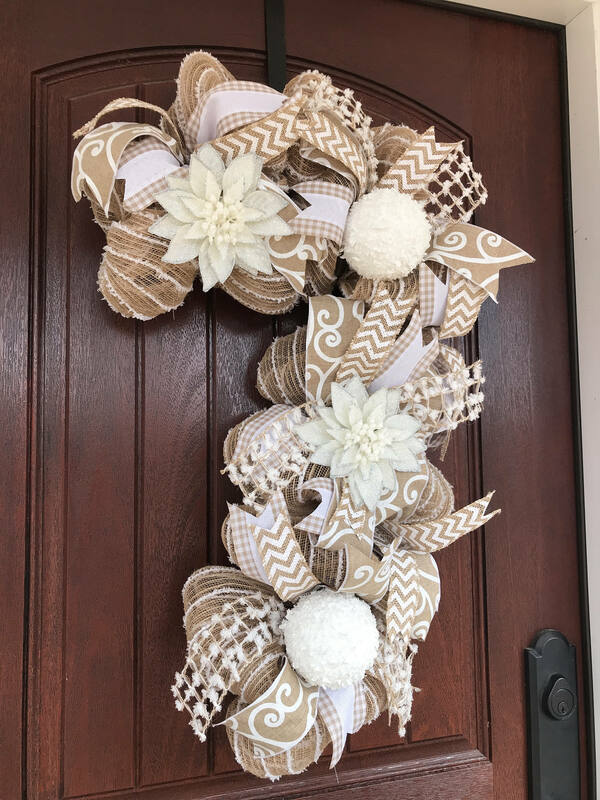 Decorate your door with this cute Candy Cane Wreath. 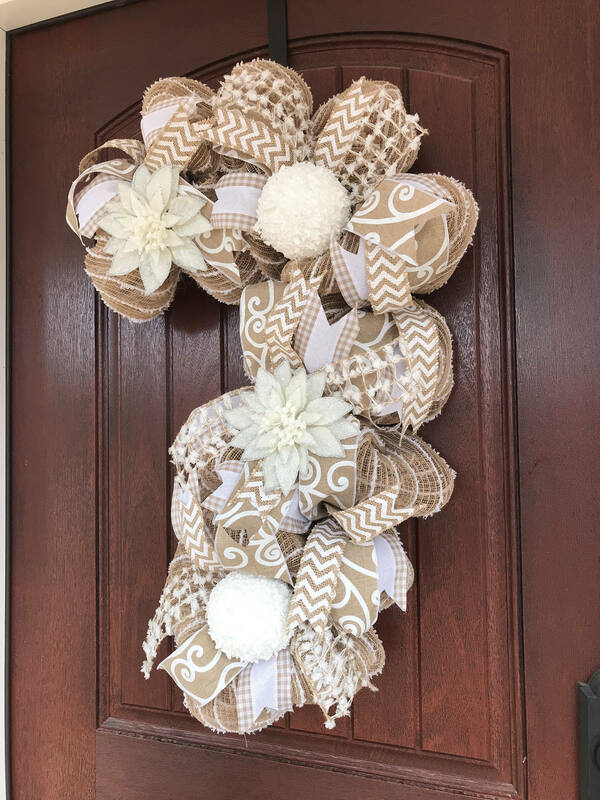 Made with deco mesh, canvas ribbon, burlap ribbon, jute ribbon, poinsettias, & white ornaments. 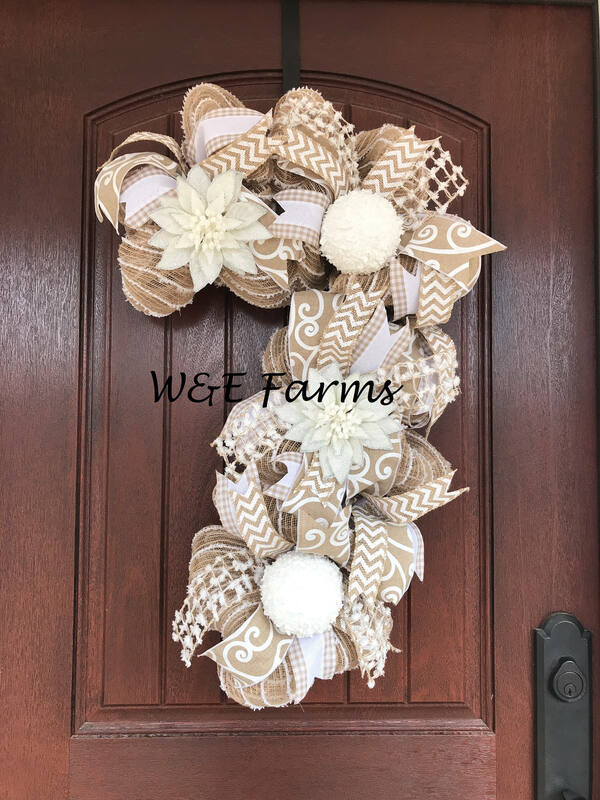 Wreath measures approximately 32 inches long.